Arsene Wenger calls the Gunners defended “suicidal” after a crunch encounter against Monaco in the Champions League at the Emirates. 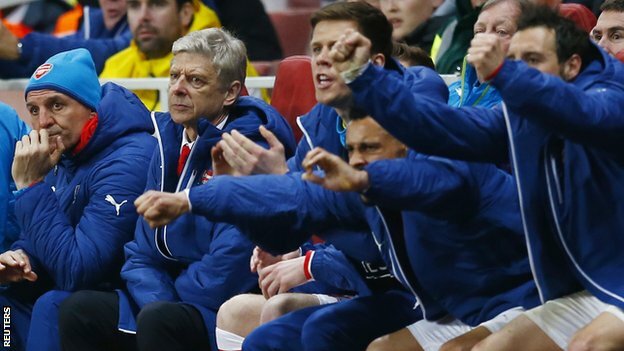 “It is just not right to give goals away the way we did,” said Wenger. But his team were caught on the break early in the second half as Berbatov added to Kondogbia’s deflected opener and substitute Ferreira Carrasco netted another breakaway goal in added time.